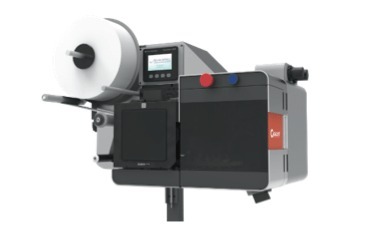 The Q34 Catalyst is an environmentally friendly, liner-free print & apply labeling system. It utilizes a water-based activatable adhesive and cutting mechanism to provide liner-free variable information carton or pallet labeling. Advantages include consumable cost savings, less frequent roll changes and the “green initiative” benefit of zero waste to landfill.